Leather reclining chaise gets a hi-tech update with cordless technology, USB charging, overhead touch lighting and Bluetooth capabilities. Era Nouveau has raised the bar on comfort and convenience by taking its luxury Enfinity lounger and combining it with an entertainment pod. Enouvation cordless technology allows you to control this piece with your smartphone via a Bluetooth conversion kit, as well as place it anywhere in your home with rechargeable power packs. 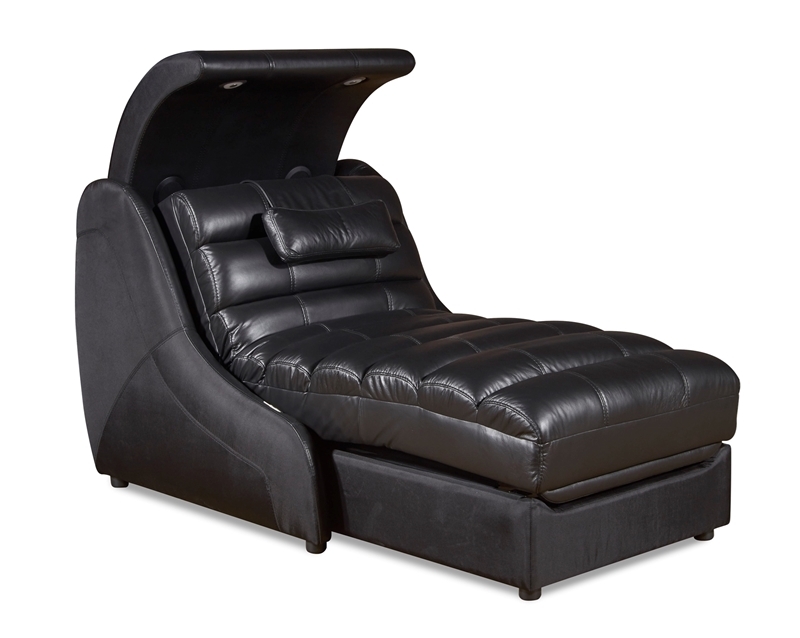 The channeled leather chaise features touch controls on the right side to adjust the head and foot however you desire, including zero gravity and lay flat positions. A USB port makes it easy to keep your smartphone or tablet fully charged while also enjoying the overhead lighting and Bluetooth speakers built in to this lounger.